When Does A False Flag Become True? Are we sleep walking into a colossal financial catastrophe which will wipe out the global recovery since 2008 altogether? One hundred years on, let us not forget what happened after 1913 by way of the accidental conflict which consumed a continent and the known world? Complacency's rife and words like 'zero' chance of default are alarming! US government exposed stocks are neither demonstrating high volatility to factor default risk, and nor has any real vulnerability been demonstrated in regard to government shutdown, which did happen, and is now more than one week old! This means that when this 'false' crisis is prolonged and there is accidental but 'true' default because of the utterly dysfunctional national political scene, the impact will be devastating because it is not manifest in the financial markets calculus. To an alien, which admittedly I am by US law, it would appear that the Republicans were mounting holy war on the Democrats against spending in general and in regard to the provision of universal healthcare in particular! 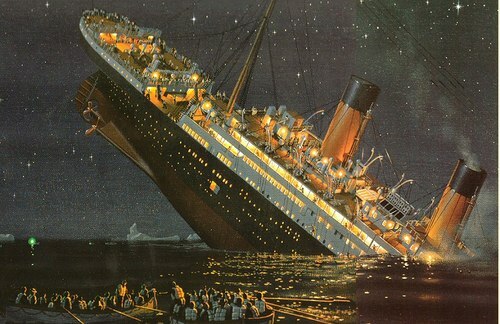 Meanwhile, the band plays on the Titanic a few hours before going down... Terrifying! Who remembers the story of the boy who cried 'Wolf' too often, and then the Wolf came one day and ate all the sheep!